I think there’s no better time to bake than during fall and winter. As the days get shorter and the coldness of the new season creeps in, my body needs all the warmth that it can get, and the natural thing for me to do is to start dreaming of delicious sweets coming from the hot oven in my kitchen. This is easier said than done: sometimes, I just lack the inspiration needed to come up with something that would really satisfy my cravings. 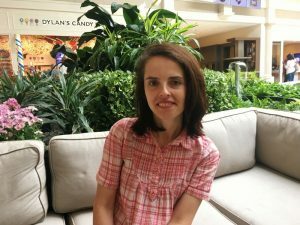 Most often than not however, I am lucky enough to have “baking accomplices” – such as my mom 🙂 – who come up with great suggestions and recipes. 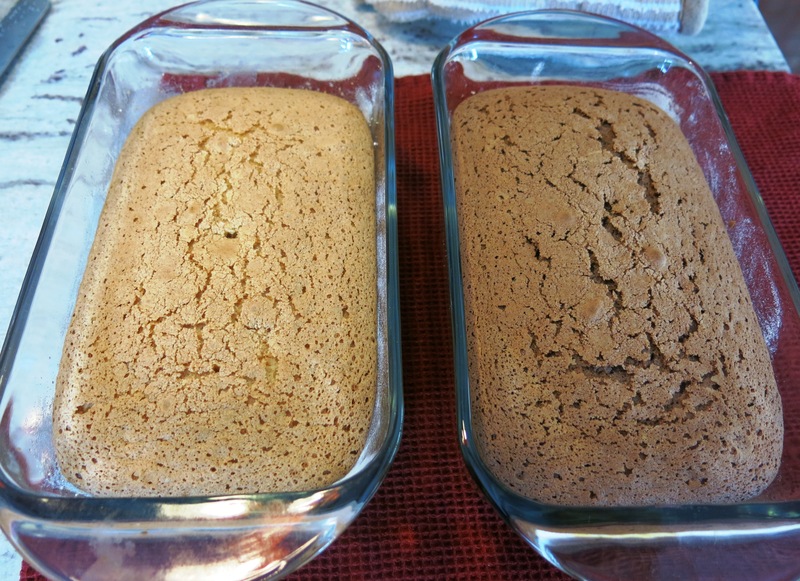 One special note: the pound cakes were not overly sweet because we only used 1.5 cup of sugar, as per the recipe instructions. You can use more if you wish, and the cakes will be sweeter. Separate the egg yolks and egg whites. 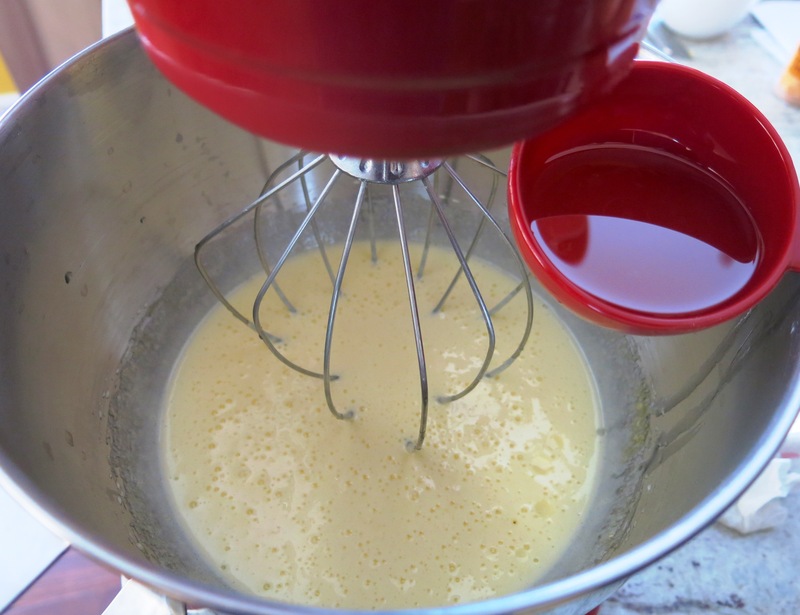 Beat the egg yolks well in the mixer with the sugar until the mixture is airy and fluffy. 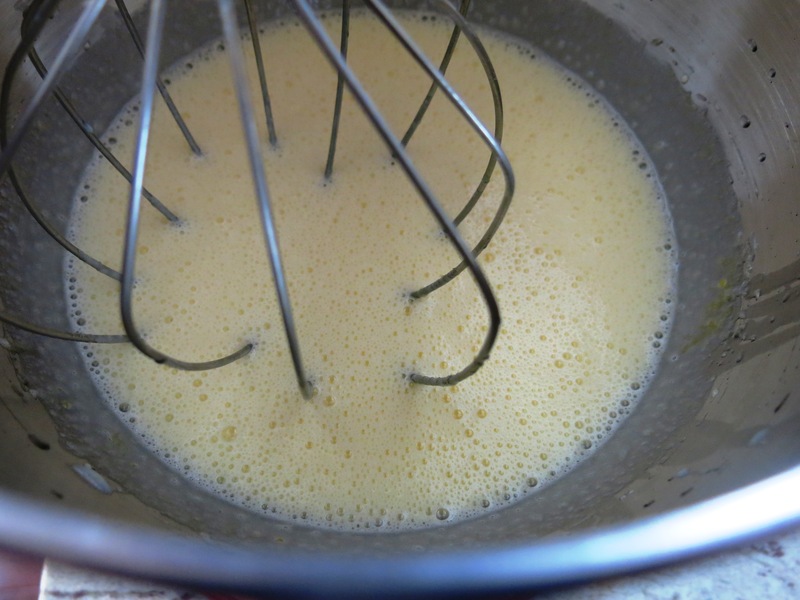 Beat the egg whites separately until they are stiff, and then add them to the egg yolk mixture. Mix well. Add the vegetable oil slowly and continue mixing. 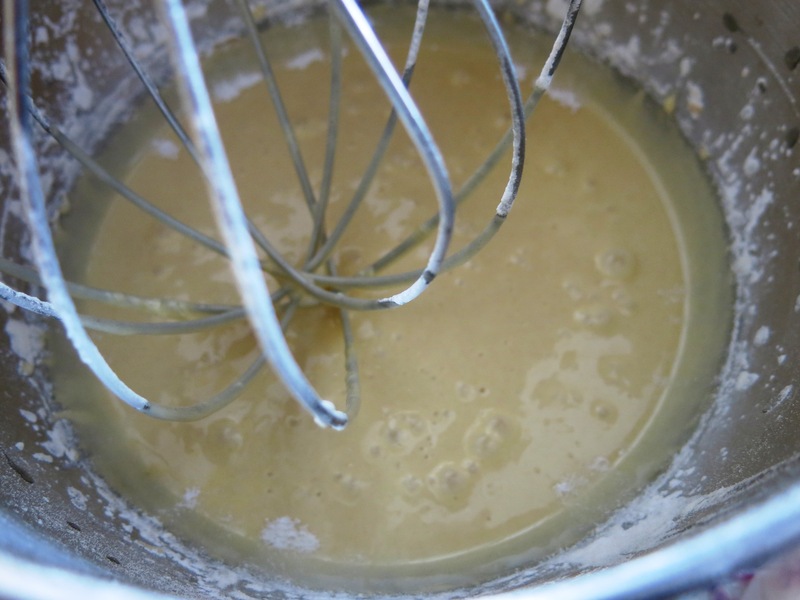 Combine the baking powder with the flour and slowly incorporate them into the egg, sugar and oil mixture. 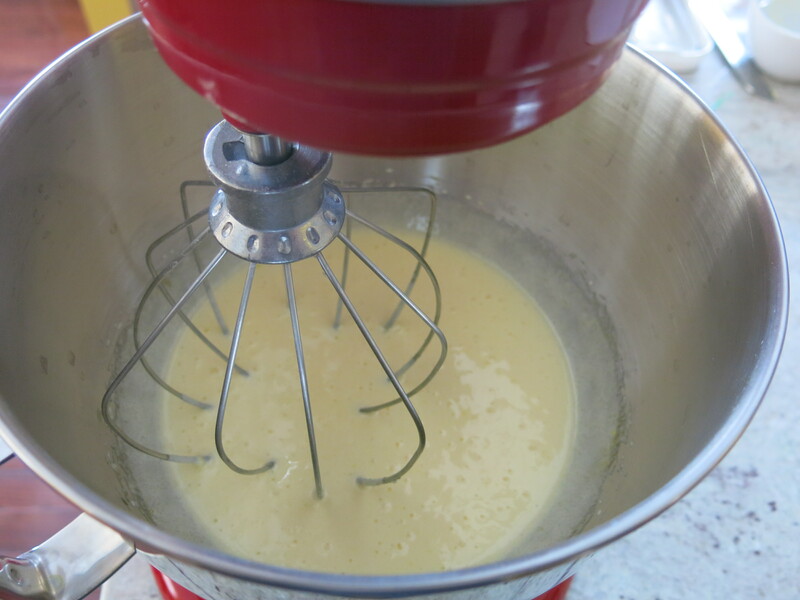 Continue mixing until all of the ingredients are well combined. 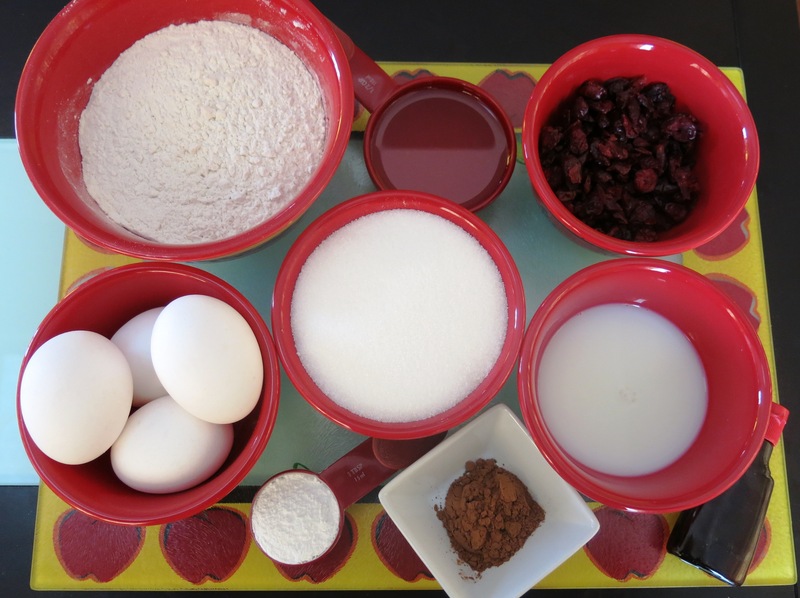 Add the dried cranberries and mix with a wooden spoon until they are evenly distributed. Now it is also time to add the vanilla extract. For the baking part you will need two 9’x5.5′ baking pans which have been oiled and floured. 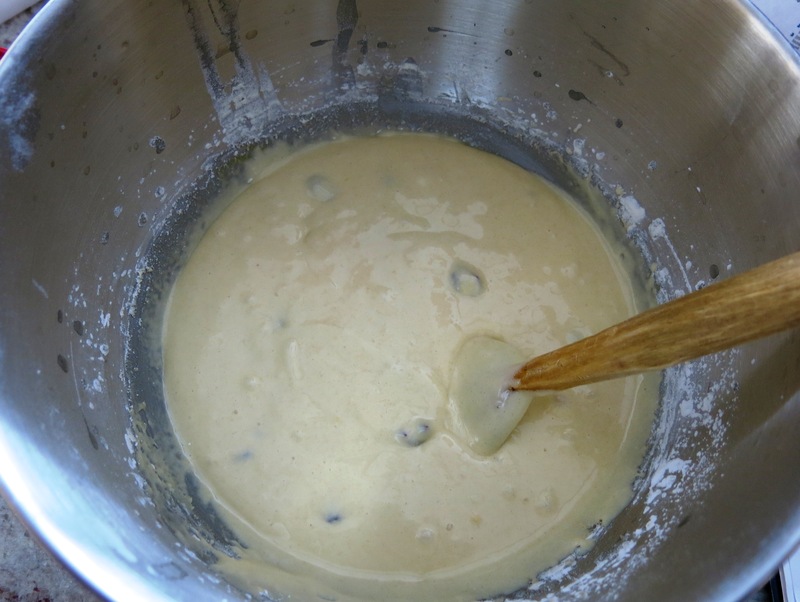 Split the mixture in half and pour the first half into one pan. 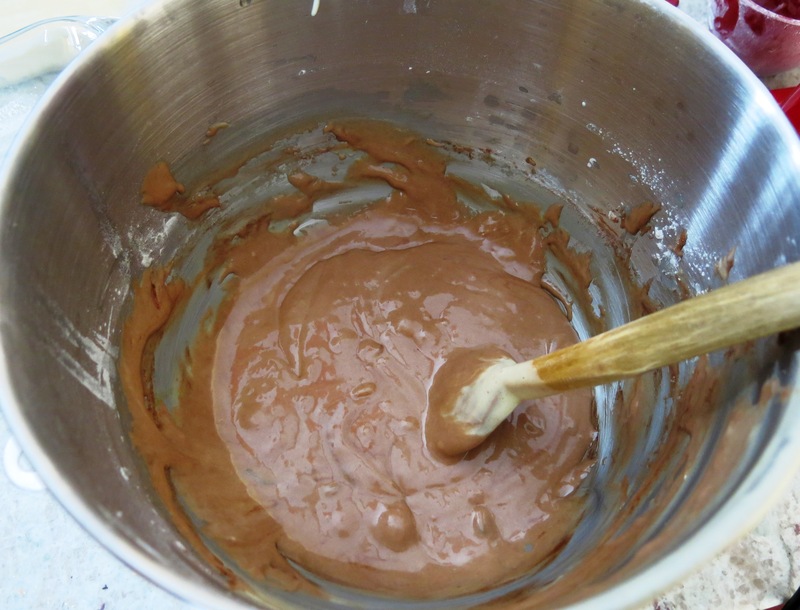 Add the cocoa powder to the mixture still in the bowl. 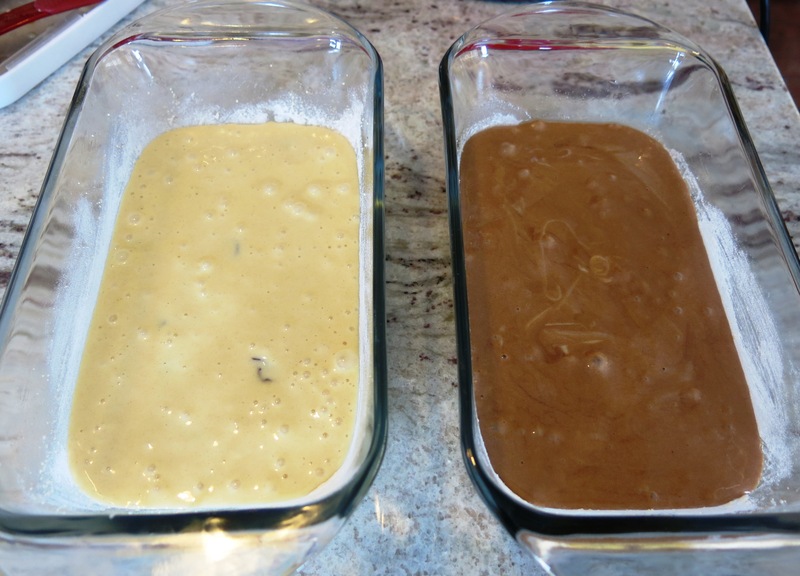 Make sure that the cocoa is evenly distributed, then add the cocoa mixture into the second baking pan. Bake the cakes for approximately 45 minutes or until they are done. You can check for doneness by inserting a toothpick into the center of the cakes. The cakes are done if the toothpick comes out clean and dry. 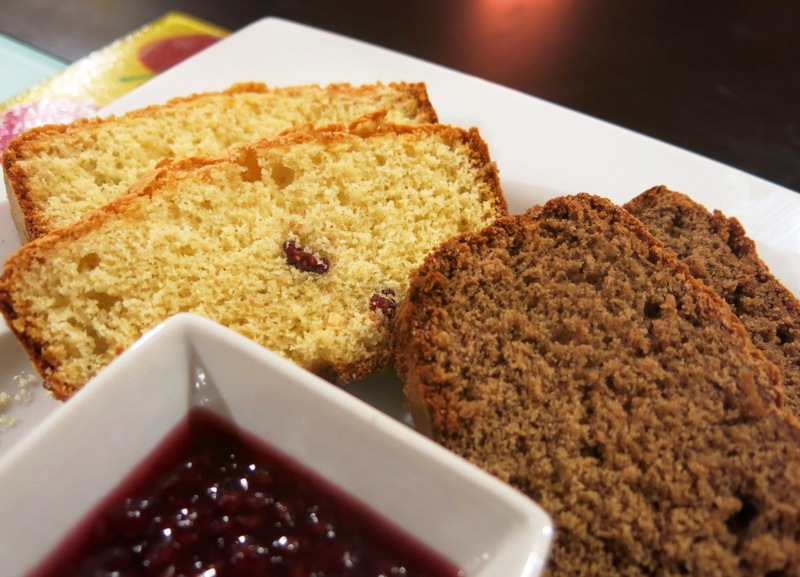 Take the cakes out of the oven and let them cool. Slice the cakes and serve. 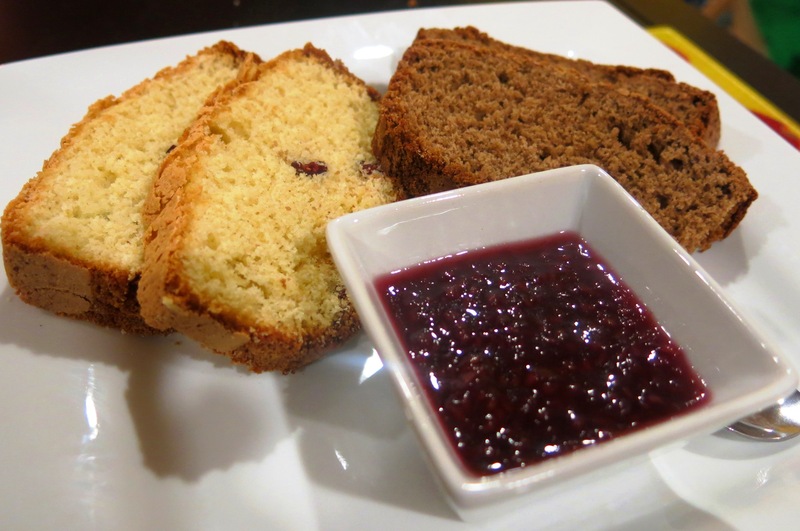 I usually eat them with jam (such as homemade raspberry jam) or chocolate sauce or dunk them in hot chocolate. They are sooo good!